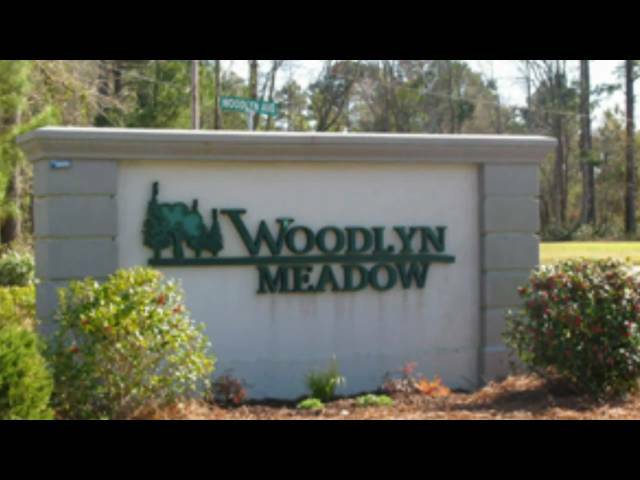 Woodlyn Meadow is conveniently located off Highways 57 and 90. You’re just minutes from the beach front of North Myrtle Beach and Ocean Drive where there is plenty of dining, shopping and beach life. You also have easy access to Highway 31 which takes you to all Myrtle Beach has to offer without the hustle and bustle of tourist traffic. If you are searching for the neighborhood you grew up in, Woodlyn Meadow is your answer. You’ll find sidewalks, wider lots, sizable front yards with garages set back, grass in the center of the driveway, and lawns that are sodded, front and back. Woodlyn Meadow has an outdoor swimming pool with an interesting twist on the sitting porch adjacent to the pool. The porch is screened in! That's so youngsters, parents, oldsters and grandparents can enjoy the pool activities with a sanctuary from the sun and any critters that crawl or fly. There are changing rooms available to bathers. And there are basketball courts for the young and young at heart who enjoy exercise of a livelier nature. Houses here are designed for the comfort of older adults, as well as the convenience of young parents. Of the 10 styles of architecture offered, most are single story. Two-story floor plans all have at least one bedroom on the ground floor. Additionally, all houses are framed in wood. And they are built to the highest standards for wind and weather resistance.